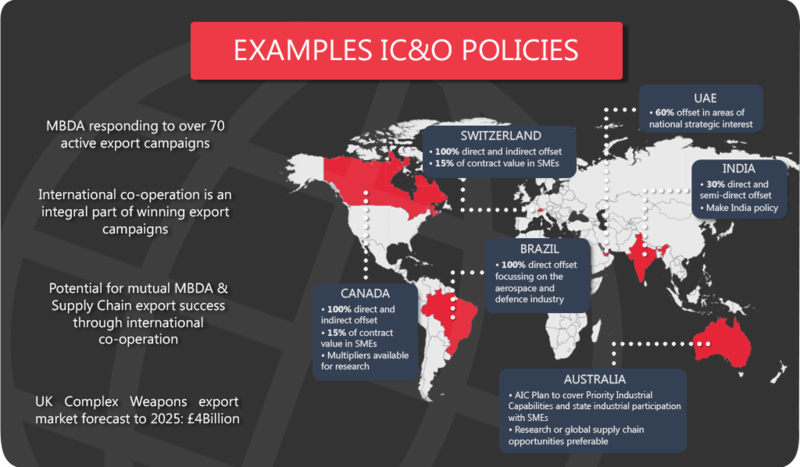 As a global company, MBDA operates and sells its products to selected governments around the world and engages in various forms of international co-operation as part of its export sales. International co-operation, industrial participation and offset is often a requirement placed on a company by governments or local champions, to provide industrial, commercial or other economic benefits to a country as compensation for the purchase of equipment or services.The offset obligation is classified as direct (related to products or services sold in the commercial export contract) or semi-direct (related to MBDA activities but not pertaining to the commercial export contract) or indirect (outside of the field of activity of MBDA). 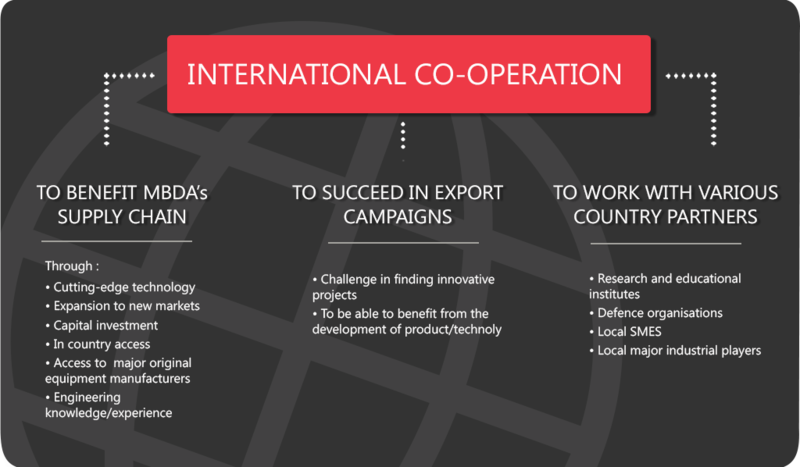 MBDA is often looking for indigenous suppliers in countries of interest and for opportunities to support and promote our current suppliers in broadening their activities and business in countries where there is mutual benefit in meeting our obligations.